We take a lot of pride in the projects we complete for our clients. 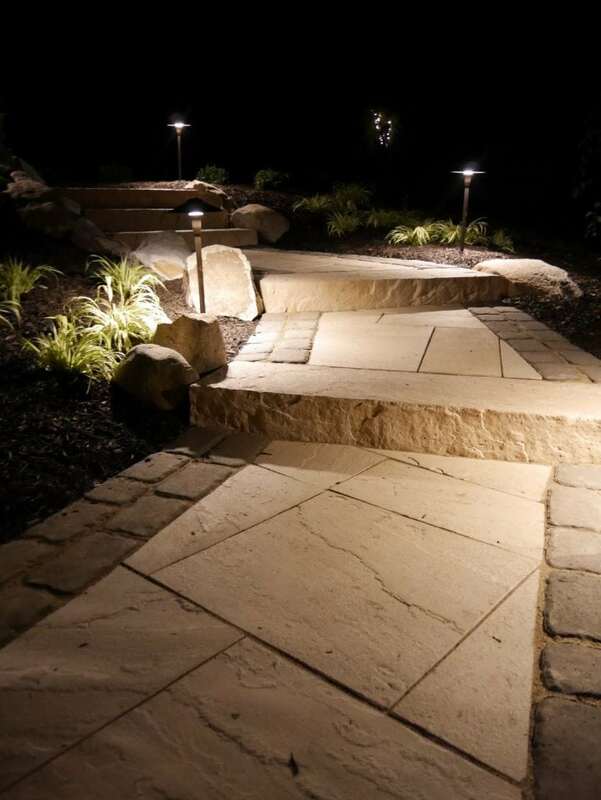 One of the best ways you can show off your home is to install lighting around your outdoor space. Showcasing the other features of your landscape can add a lot of value to your comfort, entertainment factors, and curb appeal. The best way to accomplish your lighting goals is to hire the professionals who have been working years to make dreams come true every day. We will help you to choose the right kind of lights and assist you in placement to achieve that ultimate “WOW” factor. 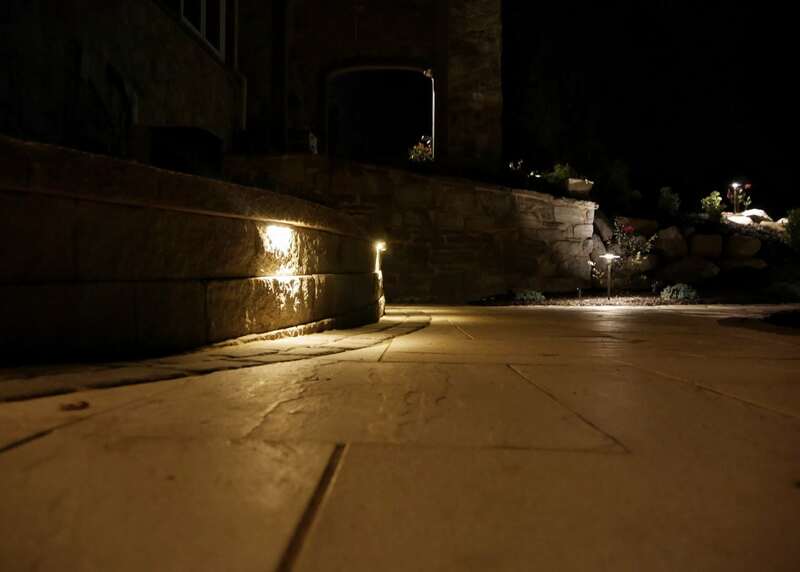 Giving your landscape the right glow can allow you and your family to gather outside long into the night, making your place the space to gather. You might never stop hearing the compliments! We work safely to make sure the project runs smoothly. We are working with electricity after all. 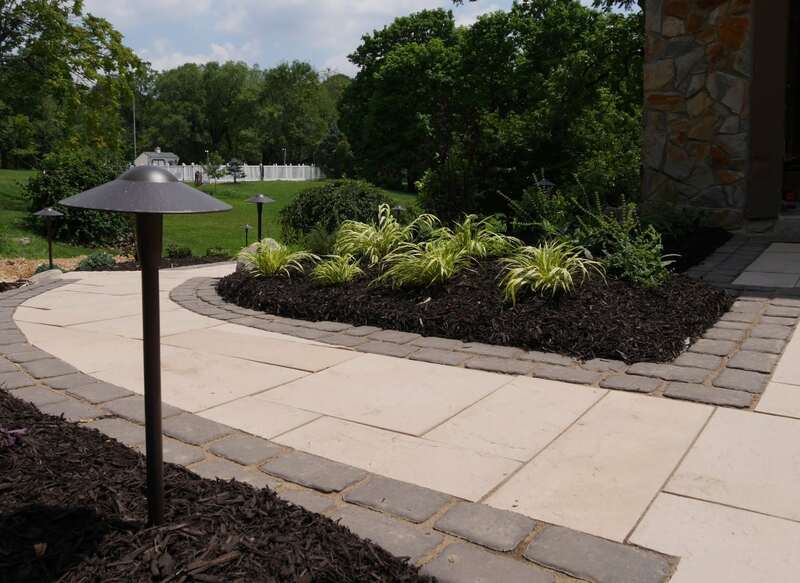 Also, we assist you in choosing the right fixtures to give your landscape the right touch! Give us a call today or send us a message. Click the ‘Get Started’ button below. Our team enjoys being creative, and we’ve been putting together plans for our clients for a long time. 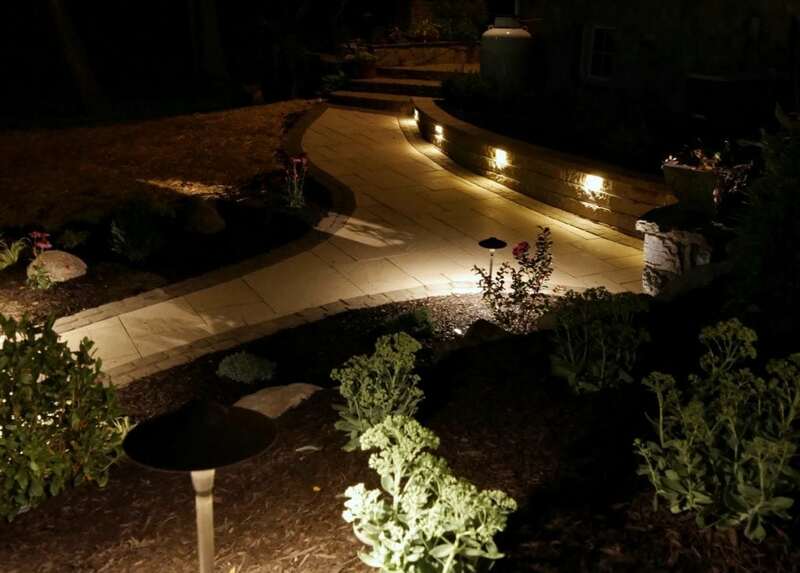 We are the experts in lighting design for landscapes and hardscapes and we look forward to turning your ideas into something tangible. The focus is always YOU. Let your imagination run free and dn’t be afraid to ask us a question. Ultimately, the objective is to achieve a project you are proud of, and we wouldn’t want the experience to go any other way than, memorable. Constantly, we are educating ourselves on new products and procedures to ensure we are performing to the greatest standards that we can. There is no other experience than working with New Outlook Landscaping for your landscape needs. Give us a call today!